Now that sweatcicle season is upon us, it seems like the appropriate time to share some tips for running outside in the winter. The treadmill may sound much more appealing than being outside in sub-zero temperatures, and sometimes it is. However, running outside in the winter can be enjoyable if done properly. 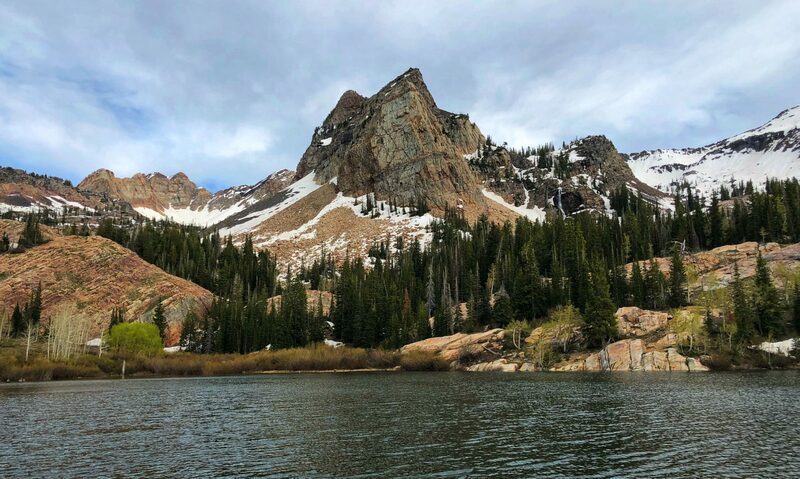 After a few years of winter running in Utah (thanks to perpetually signing up for spring races), I’ve learned a few things I thought were worth sharing. Disclosure: This post contains affiliate links, which means I may receive commissions if you make purchases after clicking on any links. A lot of trail and road runners avoid winter running because they don’t think they have the right gear. Fortunately, winter running doesn’t really require a lot of specialized gear in most cases. Most people seem to think normal trail shoes won’t work in the snow, but in my experience, running on snow and packed snow is very similar to running on dirt when it comes to traction. The great news is, as a trail runner, you already have trail shoes and in most cases what you have will work just fine. I would suggest starting with the shoes you already wear, but add wool socks if you aren’t already running in them. Many brands like Smartwool, Darn Tough, Injinji, and others sell wool running socks. Wool is great because it self-regulates temperature even when wet. Your feet will get wet in the winter from rain, slush, or snow so while you may experience brief periods of cold, your body heat and the wool will help warm you right back up. If you live in colder climates, or just want a little more warmth, you can get winter specific running shoes from many brands. Altra Lone Peak RSM, Saucony Peregrine Arctic, and Brooks Cascadia GTX for example. There are even some with a built in gaiter like the Saucony Razor Ice to give you a little extra protection against the cold. These shoes are all generally made with some type of waterproof layer (eVent, Gore-Tex, etc.) to protect your feet from the elements. These fabrics while breathable, also have the added benefit of trapping heat better than your normal shoes which helps keep your feet warmer. My go to footwear in the winter is the Altra Lone Peak RSM with Smartwool socks, and I’ve run in 0° F conditions without (my feet) being uncomfortable. Lastly on this topic, ice. While I think running on snow is not much different than running on dirt, ice is the one exception. If your trails generally ice over, or you will be running up steeper trails that may have sections of ice, I would suggest bringing along some traction devices. In my experience, the Kahtoola Microspikes work best and while they may be more expensive than the slip on devices at Costco, they are much stronger and more reliable and worth every penny. Microspikes are great because you can take them on and off easily. If you are running a trail with varying conditions and don’t need spikes the entire time, they are a great option. You can also buy shoes with built in spikes like Icebug, Salomon, and others which work well if you are running on trails that are always icy. You can also go the cheaper route and screw machine screws in to the bottom of your shoe. While this is a cheap and effective option, I generally advise against this for the simple reason that the screws can and will fall out while you are running and become trail litter in the spring. Best case scenario you are littering the trails, worst case scenario you are popping mountain bike tires or impaling other runners feet in the spring. Be a responsible trail user and avoid using screws if at all possible. This is an area that requires a lot of trial and error to get right since a small fluctuation in temperature or effort can make a big difference in comfort. As a general rule, I avoid anything made of cotton (that’s more of a year round rule) and focus on layers. Another common suggestion is dressing as if it’s 10° warmer than the thermometer says. It will be cold before you start, but you’ll quickly warm up and don’t want to be over-dressed. It’s much easier to deal with a little pre-run cold than deal with a bunch of excess layers for your entire run. Lastly, make sure you don’t forget your accessories. This includes gloves, a hat/beanie, and a Buff. A Buff is a great winter accessory since it’s lightweight and easy to carry if you aren’t using it. A Buff comes in really handy as a neck and face guard if the wind picks up or as an extra layer on your head if it gets really cold. Another trick if your hands get really cold is to pick up some small hand warmers and keep them in your gloves or pockets. That little extra warmth can make a big difference on a cold winter run. This is usually the most common item new winter runners ask about, and for good reason. Spikes can be a life saver under certain conditions, but there’s also a lot of mis-perceptions about them. The main one is that they aren’t necessary if you are running on snow. Packed snow will generally have decent traction and anything deeper than your spikes and they don’t add any additional traction because there’s nothing for the spike to grip. 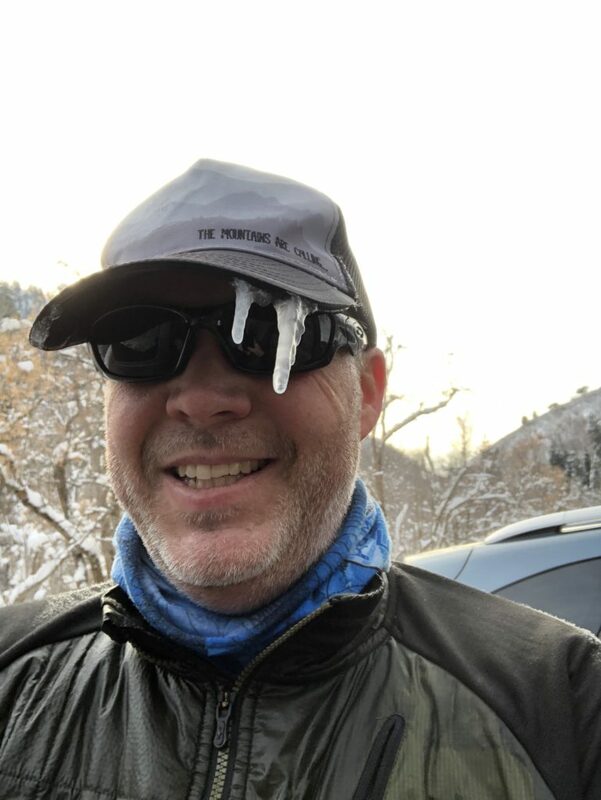 The only time you really need spikes are when you are running on icy trails or steeper icy trails with a very thin layer of snow on top. When it comes to buying spikes, there are a few options. You can buy shoes with spikes built in to them like the Salomon Spikecross or Icebugs or you can buy removable spikes like Kahtoola Microspikes or Hillsound. They both have their pros and cons so you’ll want to weigh those when making your decision. I personally prefer Kahtoola Microspikes because they are easy to put on/take off when dealing with variable trail conditions or if you have to run sections of road at one point during your run. Regardless of which way you go, I’d strongly recommend that this is an area where you want to spend money. Saving a few bucks on spikes is not worth a visit to the ER with a broken arm or tailbone. It’s easy to under hydrate on winter runs. You likely won’t sweat as much since it’s not as hot out, but you will still sweat and still need to pay attention to hydration. I like to use some type of cue to drink on a regular basis during winter runs like drinking every mile even if I’m not really thirsty or sweating a lot. Dehydration has a way of sneaking up on you, so by doing that, you can stay ahead of it. I also get asked a lot about frozen drinking tubes and how to prevent that from happening. The easiest solution is to blow air back in the tube after you drink, or hold it up above your head and squeeze the bite valve to let gravity do the work. That way, water won’t freeze in the tube. You can also tuck the hose in to your jacket, but this is usually more trouble than just making sure the tube is empty. The bladder should be getting enough body heat to keep from freezing, so doing this will ensure you can still drink during your entire run. If you use bottles, switch to the insulated ones. They work great in the summer for keeping your drinks cold and they work great in the winter for keeping them from freezing. Most people run with some type of electronic device today, if not multiple devices. The limited factor in the winter is typically the battery in those devices and in general the colder it is, the more the battery will be affected. This means if it’s cold enough, your device may actually shut down and not turn back on or it means your battery will drain much more quickly. In my experience, watches seem to hold up well since they are typically close to your body and usually underneath a sleeve. Phones on the other hand tend to get cold and shut down right when you want to take that perfect picture. You can prevent this by keeping it close to your body (an inside jacket pocket or waist band under your clothing). Cameras have the same issue as phones. Keep close to body or keep battery close to body. Now that you are all geared up, have the right amount of layers, and figured out how to keep your water from freezing, it’s time to go run. The big question is, where do you run? Most people’s initial inclination will be to switch to roads thinking trails aren’t accessible, and in some places that may be true. I’d strongly encourage avoiding roads if possible and looking for trails in your area. Roads can be much more dangerous in the winter than they are in the summer, and many trails get packed down by other trail users making them suitable for running. Hope these tips help keep you a little more comfortable in the winter. Time to get out and enjoy winter running while you can!